We’re moving at alarming speeds towards the coldest part of the year, so chances are, you could use a jacket, or a vest, or at least some warm workout gear right about now. 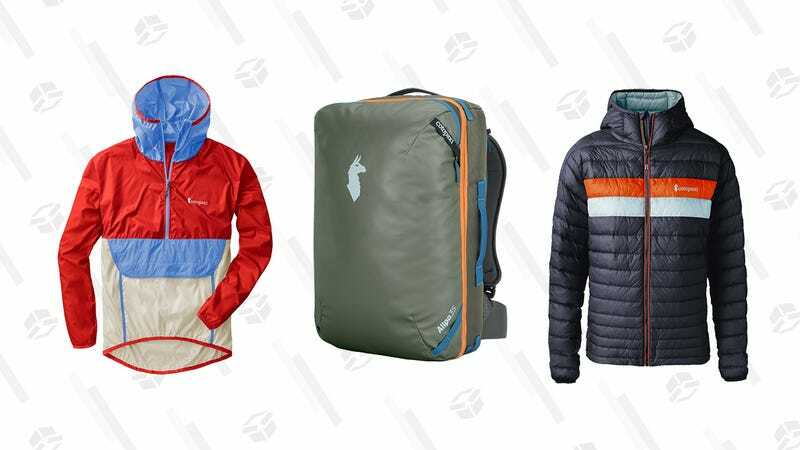 So head over to socially responsible outdoor retailer Cotopaxi, where any $100 purchase today will get you a $20 voucher towards your next purchase, and a $200 order will get you $50. The only restrictions are event tickets and gift cards, but you’ll have to spend your voucher by the end of the year, so be sure you have a purchase plan in mind.